The maritime industry encounters hazardous environments at sea and on shore. Protect your crew with Safeguard anti-slip products. 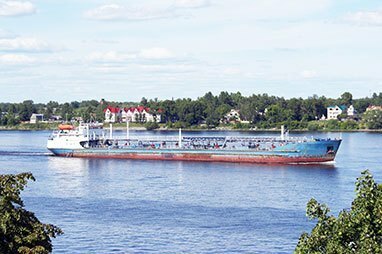 Seafarers and port managers alike understand the importance of maintaining a safe environment in these hazardous areas. Our Anti-Slip Covers exceed OSHA regulations and have been protecting passengers and crews since 1992. 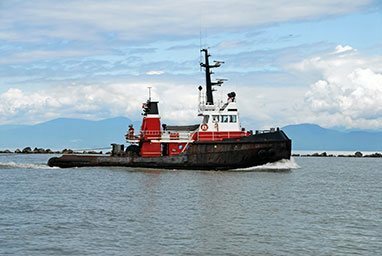 Protect your passengers and crew with SAFEGUARD® Hi-Traction® and HiGlo-Traction® products. 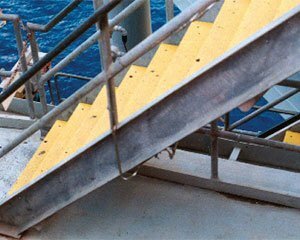 Safeguard anti-slip products allow you to choose base layers of corrosion-resistant FRP, stainless steel, galvanized steel, or flexible PVC vinyl. These solid foundations are coated with our tough anti-slip surface to give you long-lasting protection where you need it most. 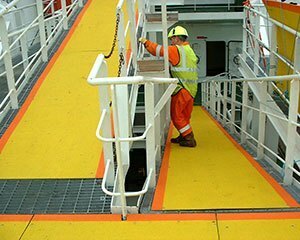 The maritime industry uses Safeguard Anti-Slip products to keep crews safe. From the deck to the dock, Safeguard's got your crew in mind. Protect slippery surfaces on shore from wood decking, to concrete loading docks and more with our custom walkway covers. Trusted by rescue supply vessels to keep safe conditions in the North Sea. Most slips-and-falls occur at the leading edge of steps. Ensure passenger and crew safety with high-traction covers and messages they can't miss. 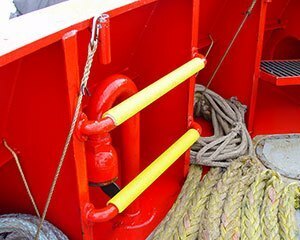 Move around the vessel safely with easy-to-install ladder rung covers. They'll outlast any tapes and save you from having to scrape and replace material in the future. Available in channel or half-round styles. Legislation requires rig owners and operators to secure a good prospect of rescue for offshore workers. 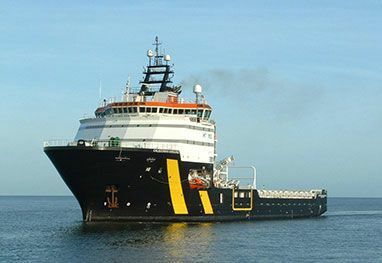 The ships and crews that undertake this work are specially equipped to carry out marine rescue and recover survivors from lifeboats, life rafts or directly from the sea. 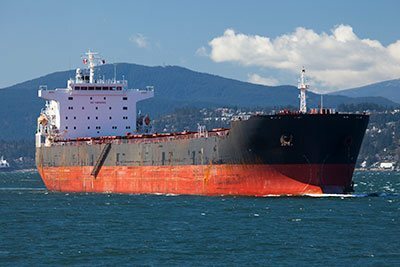 Because of the slippery and hazardous conditions found in this environment, these ships have been installed with SAFEGUARD® Hi-Traction® Walkway Covers to give the crew the best and safest footing possible. The covers span many walkway areas on board the ships, covering open grating to provide safe, secure traction.